‘Tis the season to Sleigh and Sparkle! Oh yes, Christmas is around the corner, Black Friday has been and gone and it’s time to start enjoying the Festive Season! And, let me tell you I am already in a celebrating mood and I am already celebrating in style. Because I have some serious arm candy going on! If you follow me on Instagram and Twitter, you’ll know that there have been a few cheeky selfies and a few snazzy flat lays hitting my feed all showing off one product in particular! I am absolutely buzzing because this year, I am getting Adexe For Christmas! 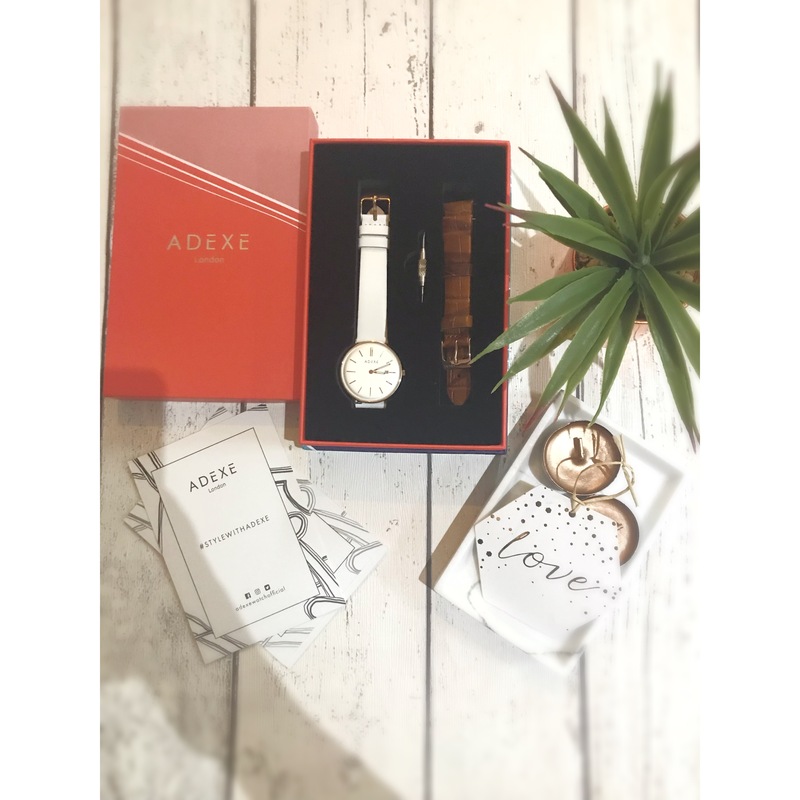 Yep, little old me has secured an incredible collaboration with the amazingly beautiful Adexe Watch company to show off their insane Christmas range! When this email fell into my inbox I genuinely let out a little squeal! I see so many fabulous bloggers flashing their Adexe watches on Insta and it always seemed like a collaboration way too far out of my reach! So, obviously, feeling mega chuffed with this one! Secondly, I was buzzing because, well look. 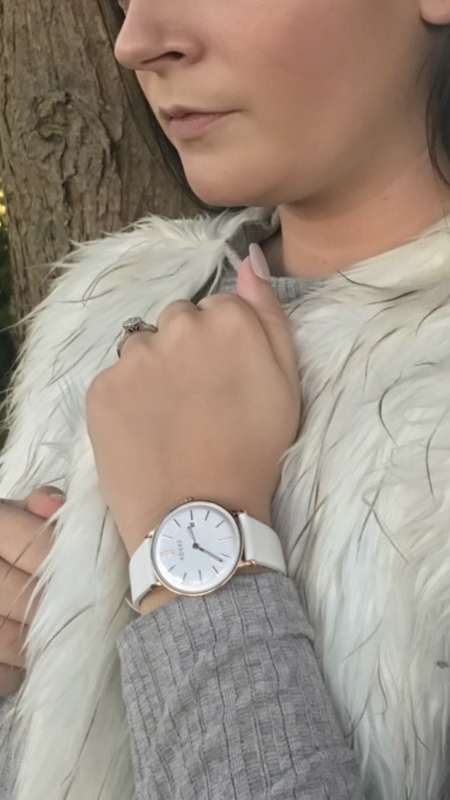 The watches are always so beautiful! I had a choice of a few to try but I am a genuine owner of watches. For my 21st Birthday my whole family clubbed together to buy me beautiful silver watch encrusted with mini diamonds – a watch for best. A year later, I treated myself to a beautiful Fossil watch for work. The last thing I put on when I leave my bedroom in the morning is a watch of some sort. So when it was shopping time, I had a very clear idea of what Adexe watch I wanted! I absolutely HAD to go for the Marie Claire featured Meek Petite Marshmallow in white. It was love at first site! 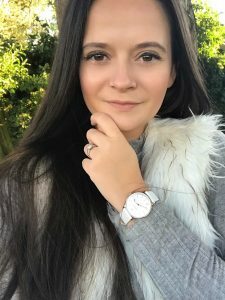 Here’s me living my best life, posing away like a good’en and showing off my beautiful Adexe watch! 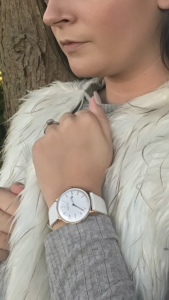 I always feel like it’s so easy to take nice, natural photos when the thing in the snap is so gorgeous – I absolutely love everything about the Meek watch; the fit on my tiny child size wrist is fine and doesn’t look silly; the white strap is a great Christmas accompaniment – and it comes with a luxurious brown strap to mix things up; the big, bold face is everything I look for in a watch; and the small rose gold details on it give that full glamour feel! The only issue is: I don’t want anything else for Christmas! Genuinely, this Meek Adexe watch has now become my watch for best. It gets adorned like a Royal bracelet at every single opportunity and I’ve had nothing but compliments whenever I wear it. Someone has even stopped me in the street to ask me where it’s from! So, I have officially joined the super cool Adexe group! 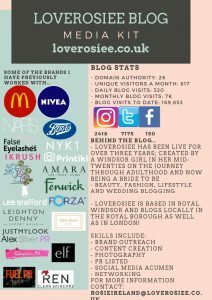 I am well impressed with my little blog, these lovely snaps and being able to share the love for a brand that I have poured over for years! Want 15% off Adexe watches? 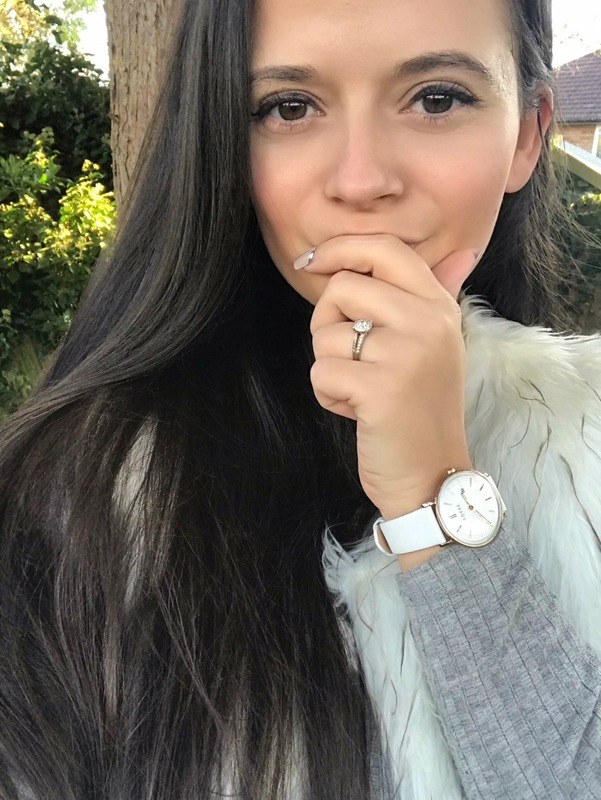 That watch is absolutely gorgeous! The perfect Christmas gift! I have one of these watches and love that you get a second strap! Such a beautiful gift! You look stunning! 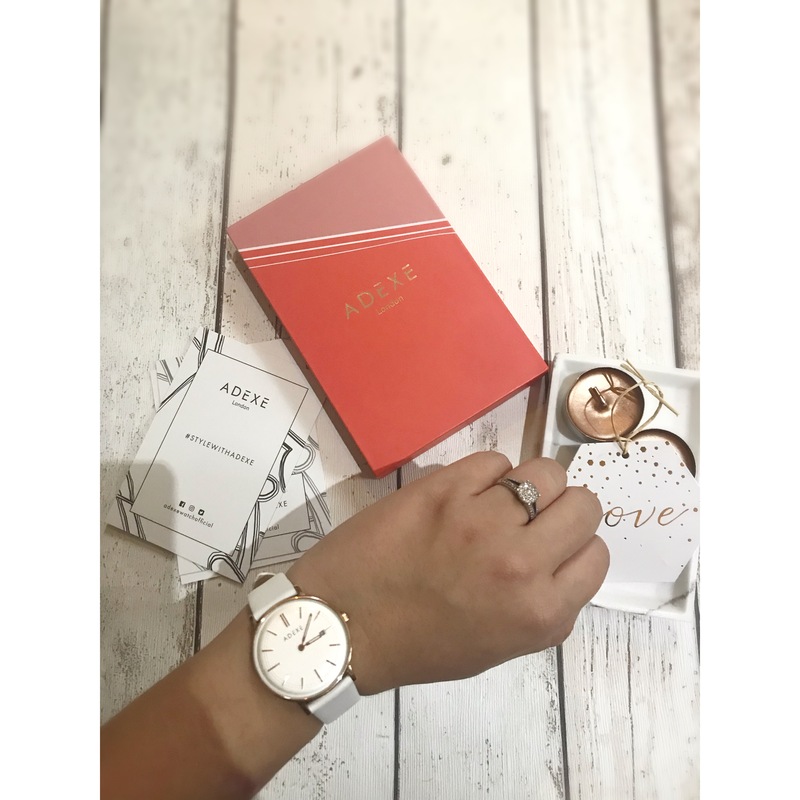 – I love this watch, so beautiful!